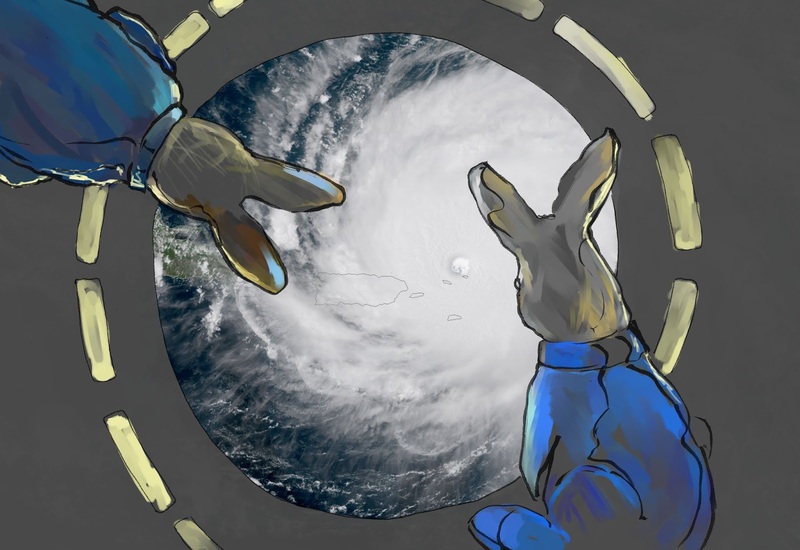 Bunstronauts on orbit at the Cleo Weather Observatory looking over Irma. (NASA photo in the background). We're taking care of business with Irma here and will fill you in all the stuff when conditions improve and allow. Expect some LOS (Loss of Signal) in the next day or two. We'll get through this, safe and sound, we promise you. - Espresso, Pancake and the rest of the crew, immediate and extended. PS: Thank you Ken for the idea of evacuating to orbit for the storm, LOL. The two observers definitely have the best view of the situation. Our Bunn eye on the eye! Be safe. Await full report.